Founded in 1956, the Research Institute of Atomic Reactors became the Joint Stock Company State Scientific Center – Research Institute of Atomic Reactors. 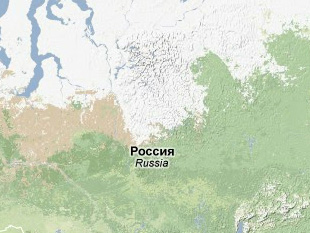 RIAR is now home to six of Russia's 62 research reactors. Employing HEU-fueled research reactors, RIAR carries out research related to the nuclear fuel cycle, particularly fuel fabrication and reprocessing technologies, as well as radioactive waste management. Additionally, RIAR manufactures radionuclides and radioactive sources for medicine. “Об институте” [About the Institute], ОАО ГНЦ НИИАР [OAO GNTs NIIAR], undated, www.niiar.ru. Valentin Ivanov, Russian Academy of Sciences "Research reactors in Russia. Status and prospects for reducing the fuel enrichment," Presentation for RF-US joint committee, Washington, D.C., 2010, www.dels.nas.edu.